Your home will likely be the greatest financial investment you'll ever make. Helped by a experienced real estate agent, it can also be your wisest. Give yourself every opportunity to come out on top by working with one of the most knowledgeable, hardworking and respected agents in Steamboat Springs. Doug’s clients appreciate his 35 + years of real estate knowledge and experience working for them, and the professional work ethic and personal care he delivers to every client. In an industry filled with personnel from a variety of backgrounds, it is rare to find a real estate broker who established their career as far back as 1983, and that includes executive level disciplines in sales, marketing, construction and resort/project planning and development, and Doug provides that knowledge to his buying clients. From 2000 to 2014 Doug was the Broker/Owner of Buyer’s Resource Real Estate of Steamboat, where he and his company dedicated their efforts to working only for buyers. For 15 years he was the only broker in Steamboat Springs who focused his practice on serving the needs of Steamboat’s buyers. Throughout that time, he developed systems, concepts and services specifically to help buyers identify the best property that meets their needs, effectively assist them in negotiating a price and terms favorable to them, assist during the due diligence and closing periods, all while providing expert guidance during the entire process. 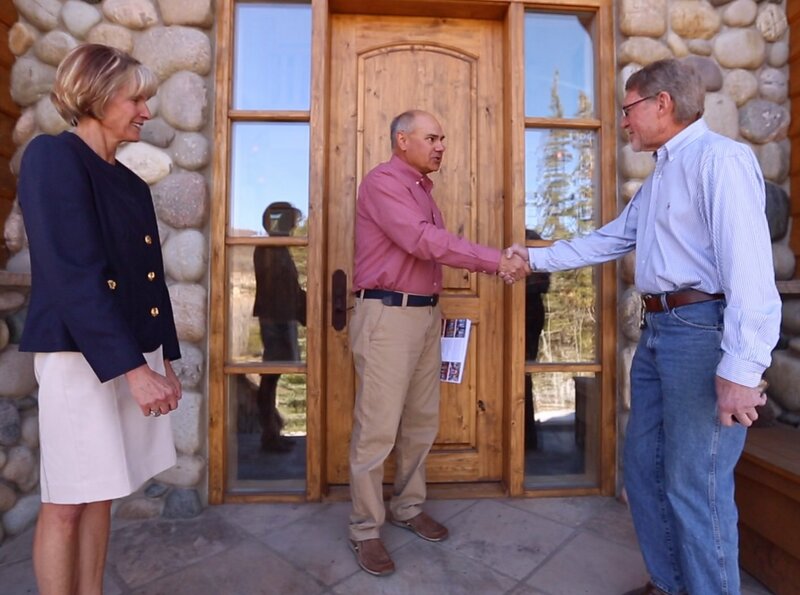 The high level of service and care remains today with the merger of his office with Sotheby’s of Steamboat. Doug’s office, in the heart of downtown, is specifically designed to help clients buy Routt County property. 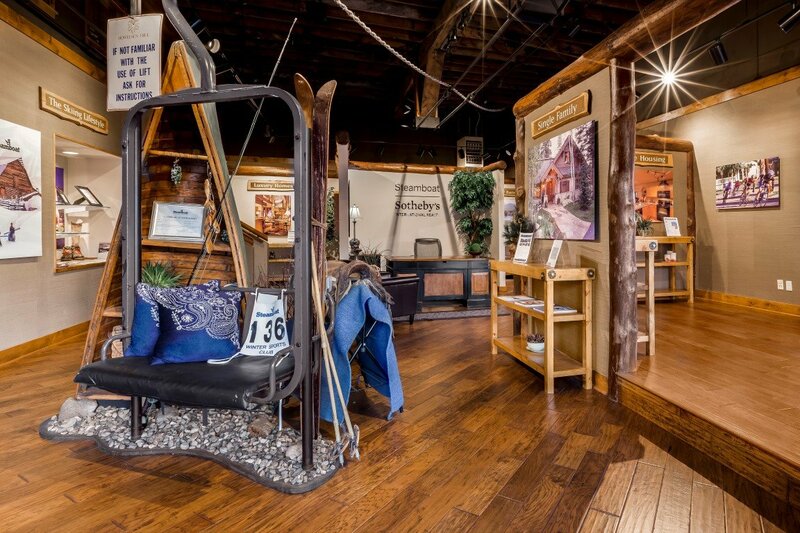 It is known as "The Showroom" for Steamboat Springs real estate. The 2,200 square foot building is specifically designed for buyers to view interactive monitors and search for properties online, spend time in the resource library for helpful information on what it's like living in Steamboat Springs, gather statistics on the real estate market, pick up listing and project brochures and learn more about the market with Doug's Steamboat Analyst & Newsletter. There is always a friendly and knowledgeable agent available to help answer questions, do a personal search or take a client out on showings. Visitors have access to more information and gain a better knowledge of the market than any other real estate office in Steamboat. If you're a seller, there is no better place to have your property advertised than an office specifically designed to attract buyers. Since 1988 Steamboat Sotheby’s International Realty (SSIR) has been Steamboat Springs’ leading real estate brokerage. Rising atop any industry takes extraordinary thinking and service. Steamboat Sotheby's International Realty has done that for over 25 years. SSIR is committed to providing a service that goes above and beyond what is simply expected from a real estate company. This commitment has allowed them to remain at the top of the market, and it's this commitment that will keep them there. Besides the downtown showroom, the mountain office conveniently sits at the gateway to the Steamboat Ski Area and is open seven days a week to assure you that someone is available to help you if Doug is unavailable. SSIR’s website provides valuable search tools and can be seen at www.SteamboatSIR.com. Connecting buyers and sellers with exemplary service requires skillful marketing and that is what the Sotheby’s International Realty brand provides, worldwide. Founded in 1976 on the same commitment to exceptional service that characterized the Sotheby's Auction House for over two centuries, the Sotheby's International Realty® brand becomes known around the world for the distinctive properties it represents. The Sotheby’s International Realty network was designed to connect the finest independent real estate companies to the most prestigious clientele in the world. Affiliations in the SIR franchise system are granted only to brokerages and individuals meeting strict qualifications. Sotheby’s International Realty Affiliates LLC supports its affiliates with a host of operational, marketing, recruiting, educational and business development resources. Franchise affiliates also benefit from an association with the venerable Sotheby’s auction house, established in 1744. The Sotheby’s International Realty brand continues to grow its global network. With over 720 offices, and over 15,000 sales associates, the network encompasses 52 countries and territories worldwide. The brand has won Franchise Business Review’s Best in Category for Real Estate Franchisee Satisfaction award for the seven years. To learn more about the Sotheby's brand, visit www.sothebysrealty.com. Doug’s extensive real estate background, coupled with his downtown office designed to educate buyers, the support of the largest real estate brokerage in Steamboat Springs, and his affiliation with a real estate franchise recognized as providing the highest quality service in the industry, makes for a compelling collection of people and services for the successful purchase of your property in mind with the convenience you expect and expert service you deserve. That's his Guarantee.